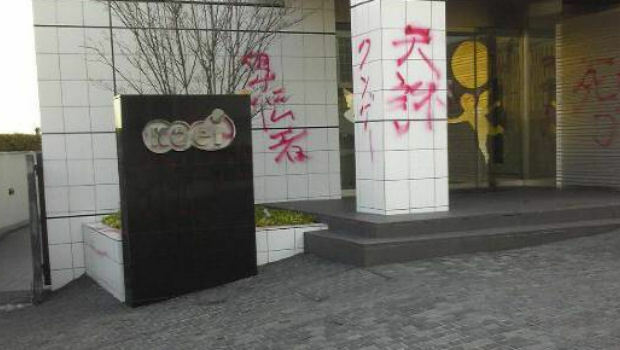 Tecmo Koei's Japanese office building has been attacked by a particularly hateful fanboy who doesn't seem to appreciate the company's games. The remarks spraypainted on the building are remarkably bitter and hateful. Such messages include, "Die", "garbage", "Sh*t game", and one other phrase that is either "Divine retribution" or "Tenchu", which is the name of a ninja-based franchise made by From Software. 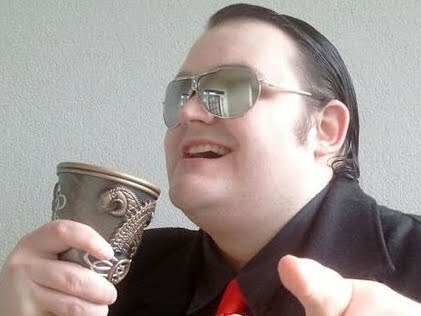 If it's the latter, then this guy is possibly hating on Ninja Gaiden and claiming Tenchu to be superior. Otherwise, he's one of Japan's rare Dynasty Warriors critics. Either way, I think we can agree that this is not the way one registers their displeasure with a game company. I understand people not liking videogames, but this is a rather pathetic and cowardly way to go about it. It's not even all that funny, if "sh*t game" is the wittiest thing you can dredge up.